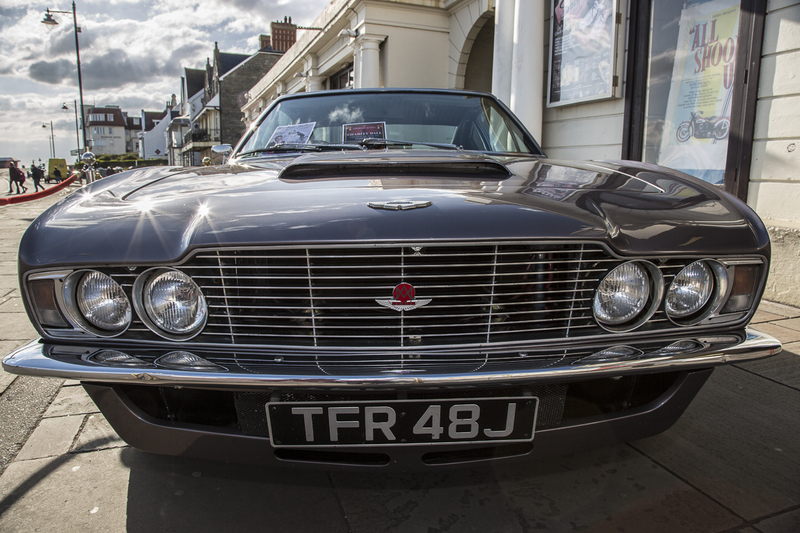 In 1967, Aston Martin launched the DBS, the successor to the DB6. The new model was designed by William Towns, who stepped in at the last minute after the original designers, Touring of Milan, went out of business after producing two prototypes. It was the last Aston Martin to be built under David Brown's control. The design concept was to create more interior space and make the car a true four-seater. There was also a change in the overall appearance, with a desire for a more modern look reflecting the style of the late swinging sixties. However, trademark features such as the bonnet scoop, knock-off wire wheels and side air vents were retained. The overall length of the DBS was 4,585 mm, which was over 40mm shorter than the DB6. The DB6 4.0 L engine remained, producing a reported 283 bhp and a top speed of 140mph. A V8 5.4 L model (DBS V8) was launched in September 1969 and was the fastest four-seater production car in the world at the time. The DBS V8 morphed into the Aston Martin V8 in May 1972, with the only change being a single headlamp front end. The gauges were mounted in a line across the dashboard directly behind the steering wheel. 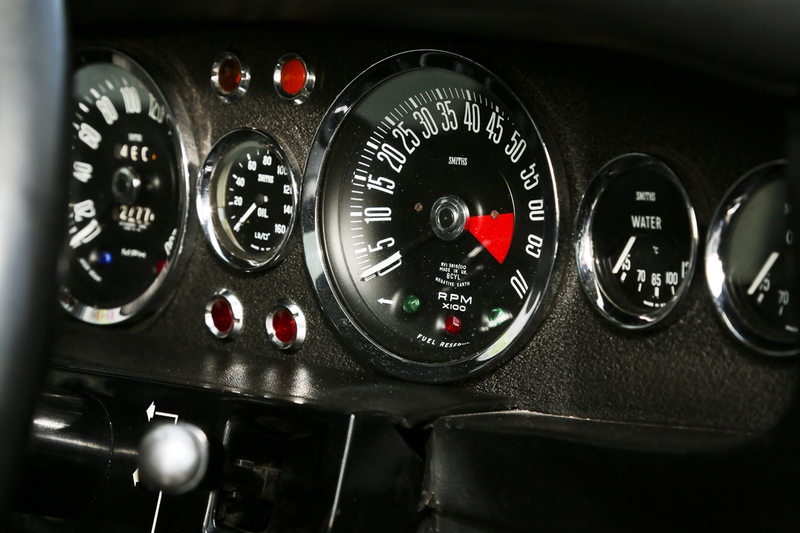 SMITHS gauges for classic Aston Martin cars are still available today, built in accordance with the original designs and drawings. Between 1967 and 1972, Aston Martin built 787 DBS cars. In 1969, the DBS featured in the James Bond movie, On Her Majesty's Secret Service, starring George Lazenby. The car is infamous for being the vehicle in which James Bond's only wife, Tracey (played by Diana Rigg), is shot and killed by the criminal organisation Spectre (Special Executive for Counterintelligence, Terrorism, Revenge and Extortion). 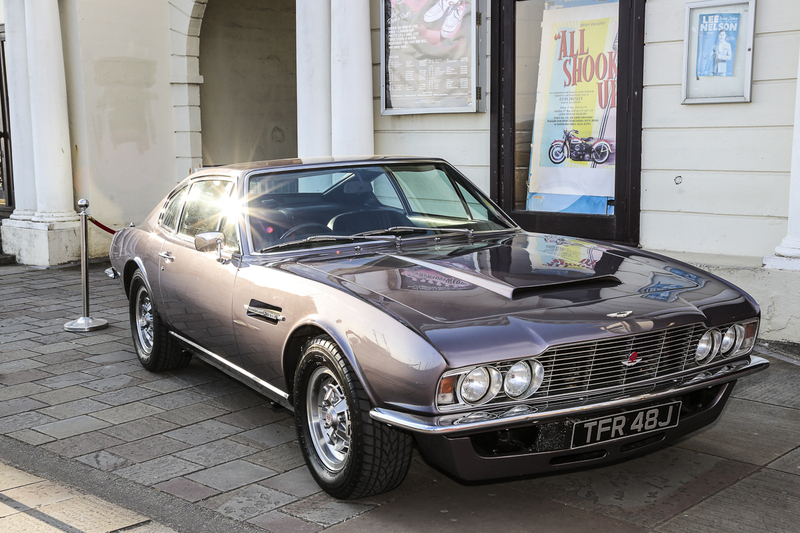 By co-incidence, an Aston Martin DBS was also driven by future James Bond, Roger Moore, in the TV series The Persuaders (1971-72). Aston Martin relaunched the DBS as a new model in 2007.